Offering exceptional elegance and functionality for any well-appointed office, our Armelle Office Crendenza with Hutch offers an abundance of sleek storage. 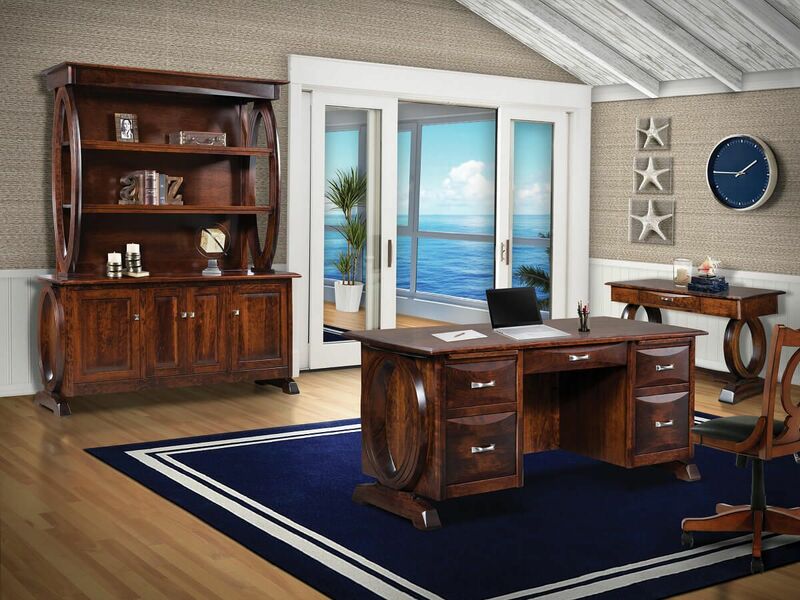 Our Armelle Office Crendenza with Hutch is a handcrafted, solid wood addition to your home or executive office. Make this a secondary work surface, or the centerpiece of your space. 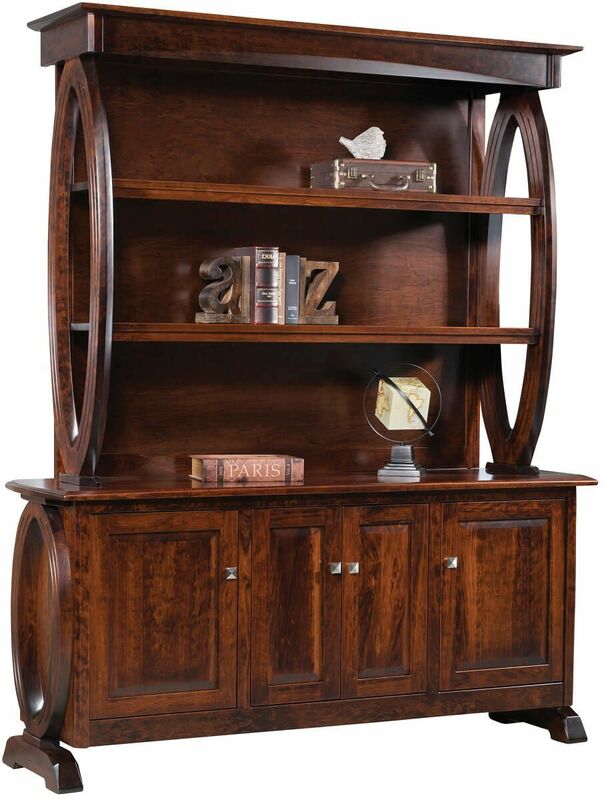 The hardwood piece features six adjustable shelves, inset paneled doors, and artfully routed oval design details. The Armelle Office Crendenza is topped with a spacious hutch, which offers additional storage and elegant display with its open shelving and sides. 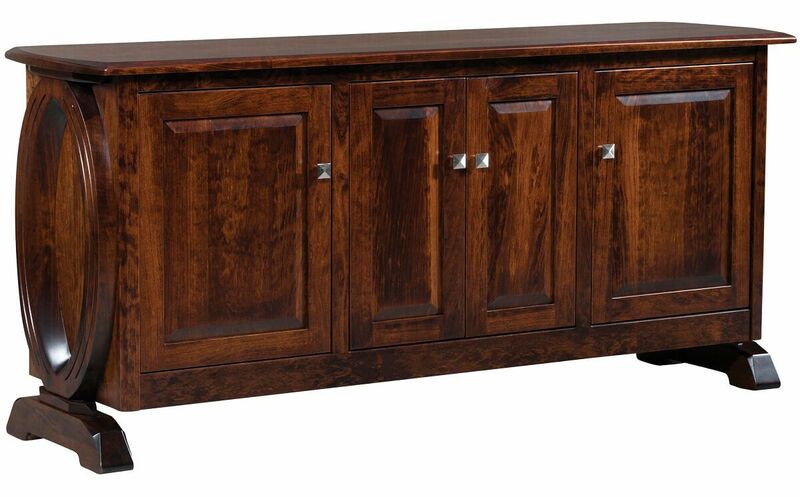 Part of the Armelle Office Collection, this piece is shown in Brown Maple with a Cherry Mocha stain. Countryside's multi-step finish results in an unsurpassed clarity, depth and unsurpassed durability. Through hand-craftsmanship, our finishes feel as good as they look, with a smoothness that is delightful to the touch. Make your selections from our online menu and Countryside will create your made-to-order Armelle Office Crendenza with Hutch.